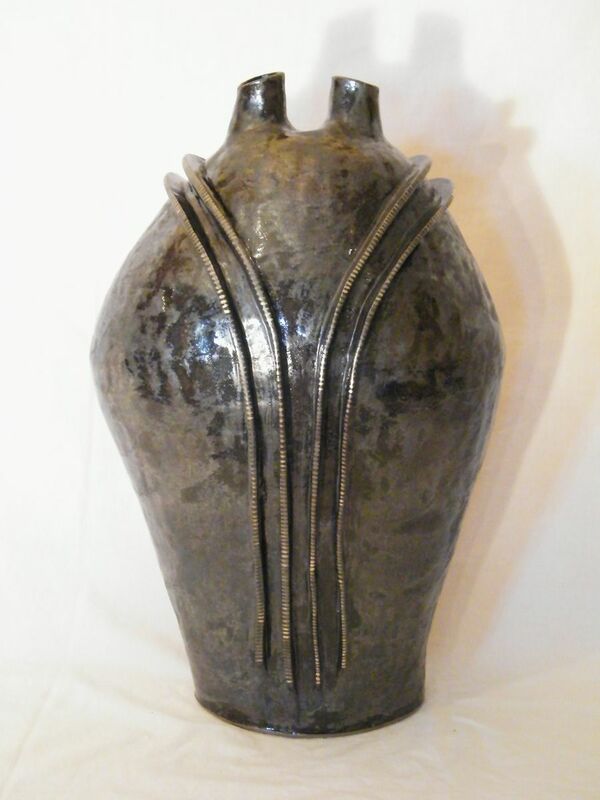 Hand coiled ceramic vessel with double neck openings and 14K gold detail. Hi-fired, glossy black glaze. Dimensions: 18 inches high by 9 inches at widest point.